Prior to this year (2018) I would never describe myself as a “runner”. That changed this year when I decided to take health more seriously and create a goal for 2018 that would push me to be better than I ever have been in the past. 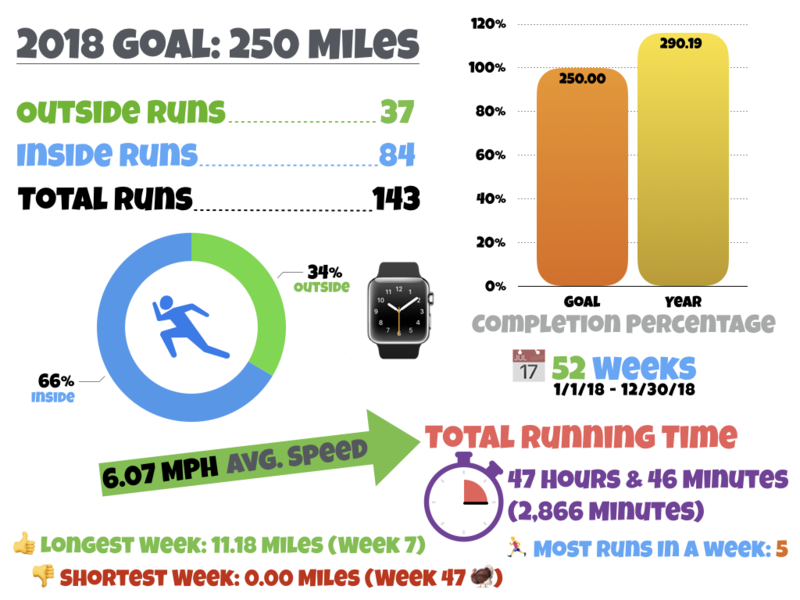 I have challenged myself to run 250 miles this year! Let’s go!